Order in the next 1 hour, 23 minutes an 47 seconds for same day shipping. This Collall All-purpose Glue is a solvent-based adhesive, and is fast drying with an incredibly strong bond. This wet glue can be used on paper, card, cork, wood, fabric, glass, stone, ceramics, leather, felt and various plastics. Please note that solvent-based Collall All-purpose Glue may damage painted or varnished objects. Suitable for children aged 6 and upwards under adult supervision. This pack contains 12 tubes of the glue. 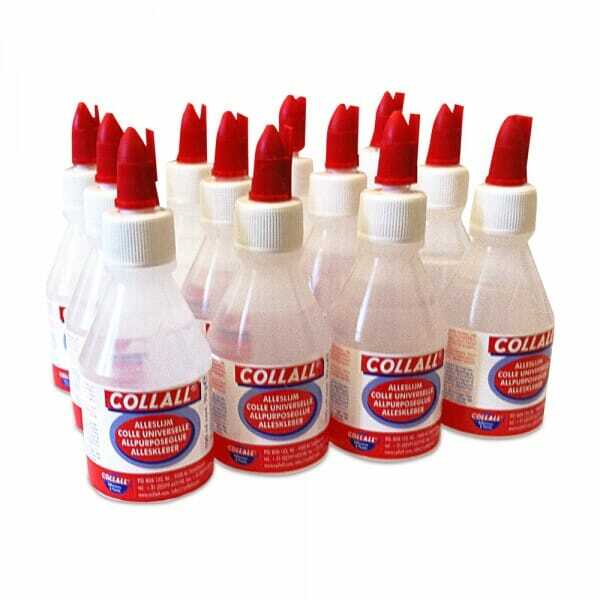 Customer evaluation for "Collall All-Purpose transparent glue - 12 x 100ml bottles"